This one with the pink flowers has been cut right back - no signs of regrowth whatsoever. Have I killed it? 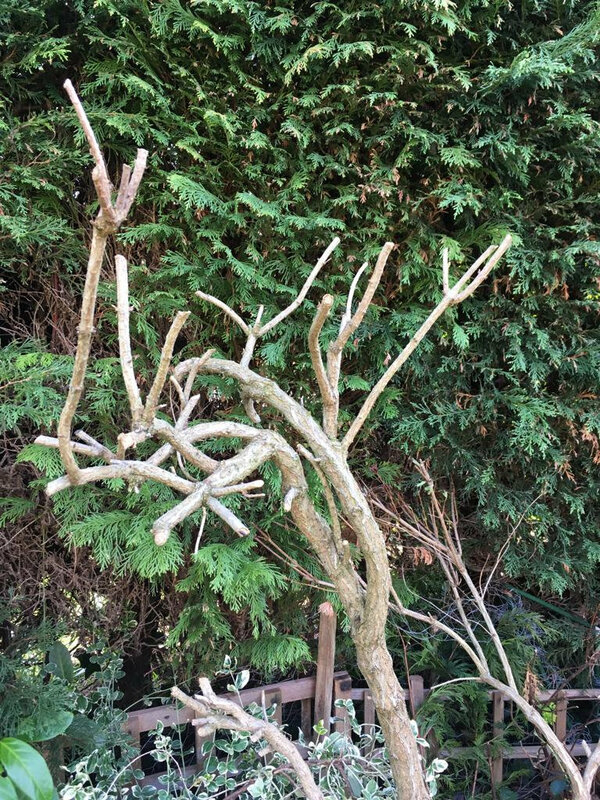 Was hoping it was a hardy shrub that would regenerate after a severe pruning. Maybe I'm being impatient. Not the best thing for a gardener! I think it's a weigela, but not 100% sure. As to whether it will recover, l will let someone else answer that. If it is, then it says "responds well to hard renovative pruning" so hopefully it won't take long for it to get back up and running. Yes, but you need to feed it and cross your fingers because it's a pruning group 2 which means prune after flowering! It's all very well searching online but do please follow all links in the info before getting all brutal. Those flowering pics are from last year, it was pruned when it was bare, a couple of weeks ago. 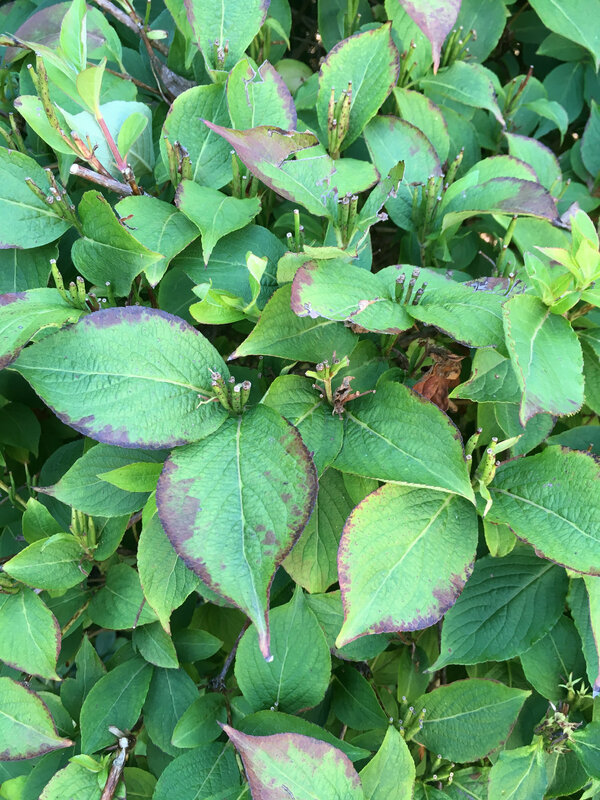 I know when a weigelia flowers, but "prune after flowering" means when flowering finishes in summer and it still has leaves on to feed itself and has a chance to regrow. Doing it when it's naked means you have to rely on dormant buds being present and coming to life when the sap starts to rise in late winter. It appears I've pruned at the wrong time then! Fingers crossed it does something. Weigela flowers on 'old wood', so you won't get any this year, just new leafy stems. If yours was hard pruned only two weeks ago I think you need to have a bit of patience, it needs time and tlc to recover. Personally, I would go further and take off some of the branches sticking out at odd angles. I’m not bothered about flowers, just enough foliage to fill the space. I think it’s probably been over a month now since I chopped it back. I know what you mean about the odd angles. I want to turn it 180 degrees! It didn’t look like the previous owner bothered to prune it much. My initial plan with this was to dig it up and move it somewhere else, but it’s so massive/heavy that I don’t think I would manage it. And it probably wouldn’t survive a move after such a heavy pruning. 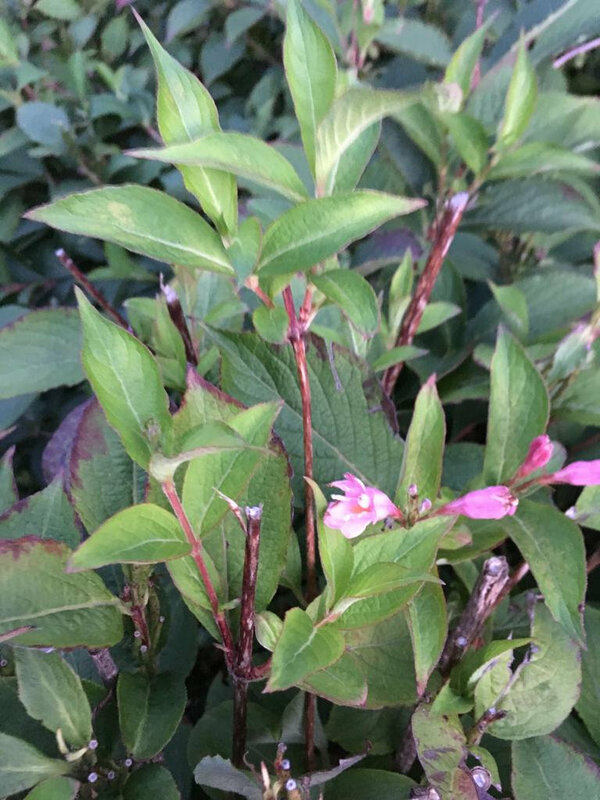 I had a weigela at a previous house, father in law took a chain saw to it every year, had plenty of leaves but never flowered. 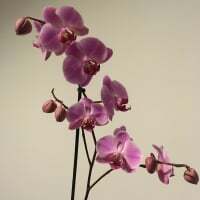 My husband was surprised when I left it one year and it was covered with pink flowers the next; he had never seen it flower before! Yours will recover but it may need a couple of years. I would certainly take some of those woody pieces off.